As you already know, we think blogging is indispensable for your business. Now HubSpot has issued a deeply researched report on how to write blog posts that compound — that continue to grow over time. Why? The report finds that while only 1 in 10 blog posts compound, they account for 38% of blog traffic. So you want to increase the number of compounding blog posts. We break down the report and explain the key takeaways. Get a Free Audiobook of Your Choice! Visit growthedream.com/audible & you’ll also get a free 30-day trial of their service! Are you going to INBOUND? We’ll see you there! 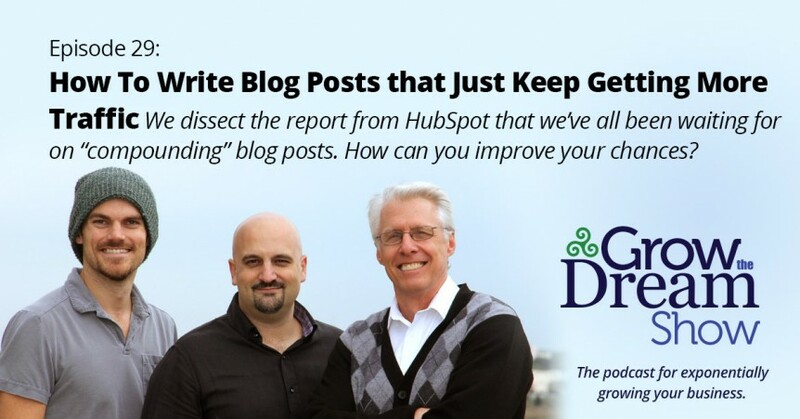 The big story for today: HubSpot’s report on compounding blog posts. Download it here.